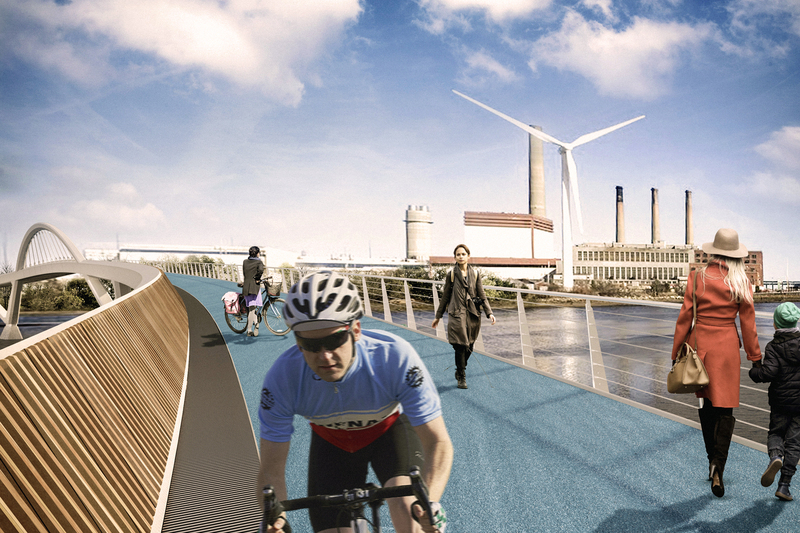 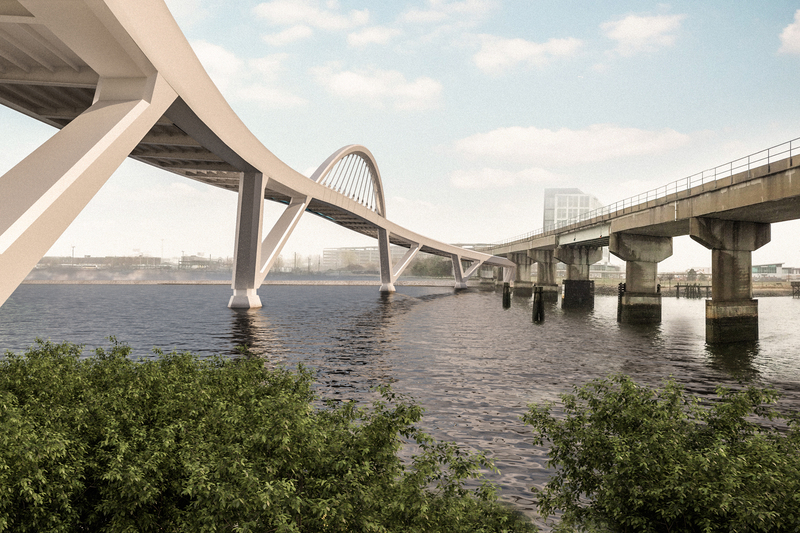 BEaM was appointed to undertake preliminary design studies for a new foot and cycle bridge across the Mystic River in northern Boston. 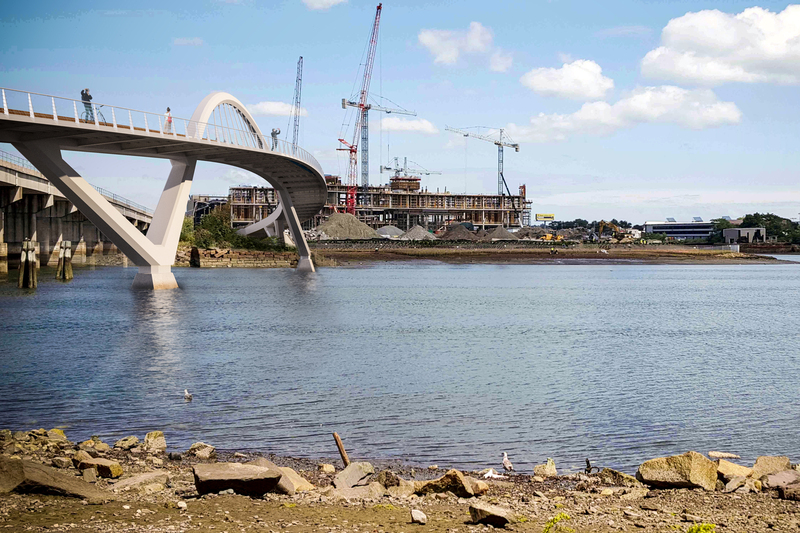 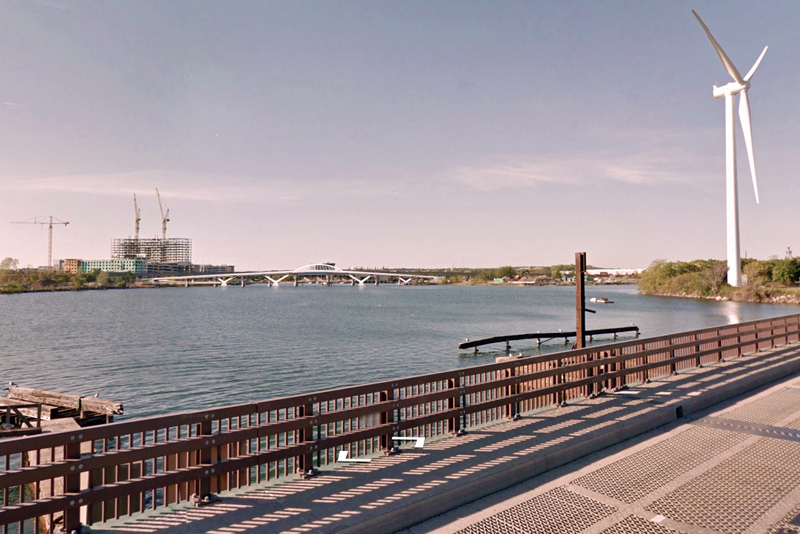 The bridge provides a link between the communities of Everett and Somerville, linking the new Wynn Boston Harbor Resort with local amenities including a city park and Metro station. 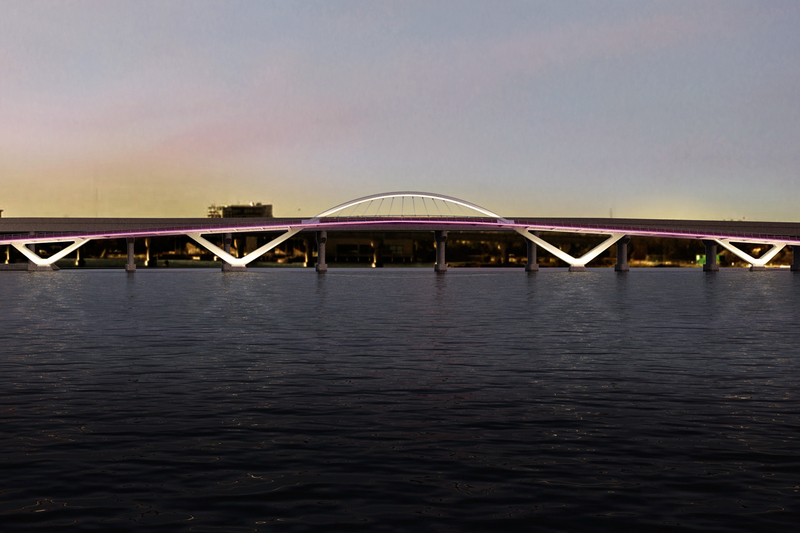 The main span of 225ft is supported from a steel arch which springs from V-piers in the river channel. 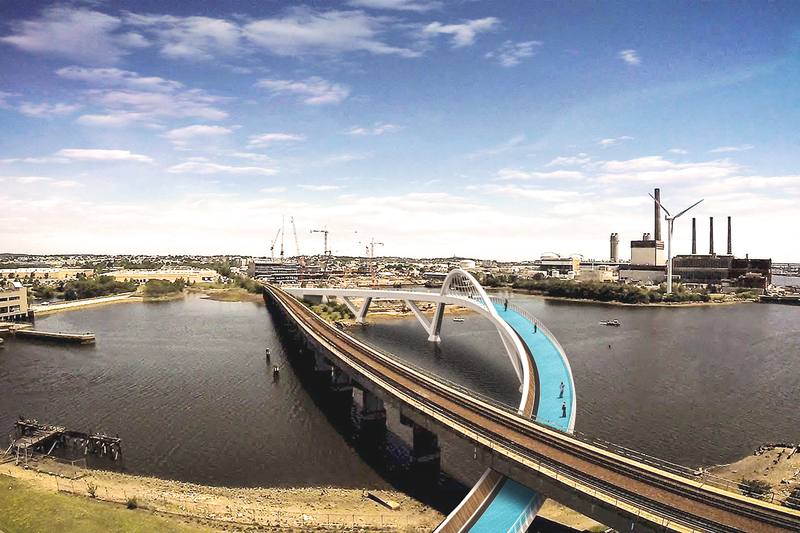 Approach spans are also supported from V-piers to minimise construction operations in the water. 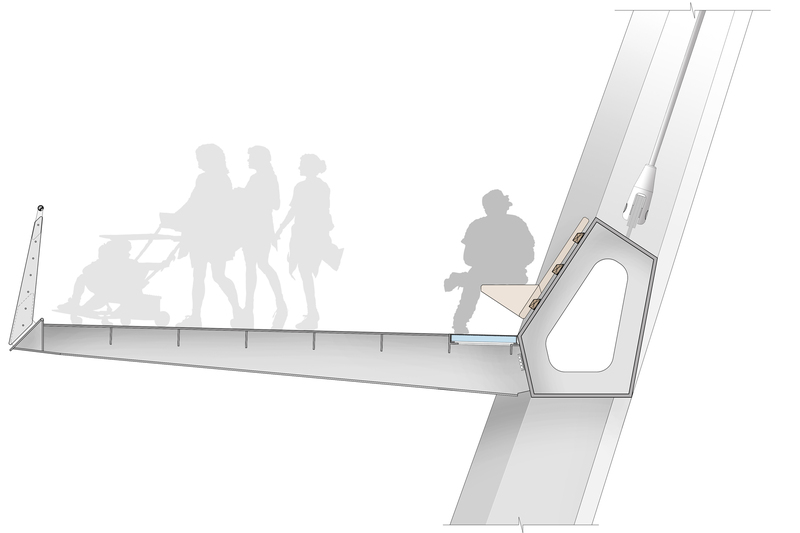 The deck section is asymmetrical, conceived with an upstand beam to one edge of the deck which acts as a partial shield to an adjacent Commuter Rail viaduct and enables a very slender deck profile underfoot to minimise ramp lengths.